Pandit Chotelal Mishra studied with Varanasi's "magic man of tintal," late Guru Pandit Anaukhelal Mishra. Pandit Chotelal, who has been honored by the Indian government with the title of "Sangit Sri," currently heads the music department of Bharat Hindu University, and has served as a visiting professor at universities all over the world. As a performer, he is especially famous for his ability to improvise endless variations on kayadas and relas. 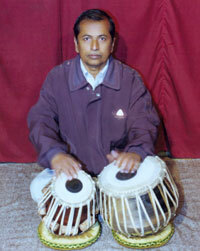 He plays all styles of the tabla, and routinely plays solos in the most difficult talas. He has toured internationally and played with all of Hindustani music's top-level performers. Also the author of the book Tal Prasun, many of his students are now prominent performers in their own right. 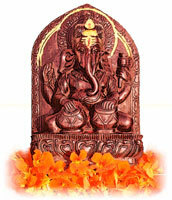 Pandit Homnath Upadhyaya studied for many years in Varanasi with Pandit Ramji Mishra, also a student of Late Guru Pandit Anaukhelal Mishra, and Pandit Chotelal Mishra's brother. Pandit Homnath worked for many years in India with the famous film music director R. D. Verman; has accompanied kathak dance, vocal and all kinds of instrumental performances; and has toured the United States, Europe and Asia as a performer and teacher. Having served as a lecturer at Nepal's Tribhuvan University for fifteen years, he currently holds a position as a visiting professor at Colorado University in the United States. Late Guru Sambu Prasad Mishra's father and first teacher was one of Nepal's great music masters, Pandit Jhumakelal Mishra. 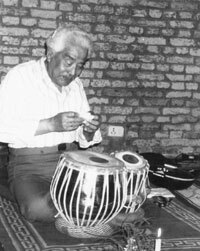 After learning tabla with his father as a youth, he began his principal study with his grandfather, Pandit Nanak Prasad Mishra. 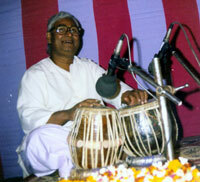 Sambuji learned all styles of the tabla, but he preferred the strong, Pakhawaj-style playing of the Varanasi gharana. Having been appointed Nepal's Royal Court Musician while he was still fairly young, he spent nearly his entire life at the Royal Palace. However, he also performed in many cities throughout India and Japan. Pandit Sambu Prasad Mishra passed away in February 2001 at the age of 82.